Which teacher should star in a TV episode of Bookaboo? Vote for your favourite now! Earlier this year we invited teachers at book-loving primary schools across the UK to send in a video of themselves reading aloud from a picture book. The best teacher will star in an episode of hit children’s show Bookaboo, reading aloud to their class. We’ve selected our six favourite readings, and now it’s up to you as members of TES Connect to decide who your favourite is. Make sure you cast your vote before Sunday 8 September 2013. The two teachers who get the most votes will go through to the final, in which Bookaboo creator Lucy Goodman will pick the winner. You will need to be logged in to TES Connect to vote. If you’re not already a TES Connect member, you can join for free here. 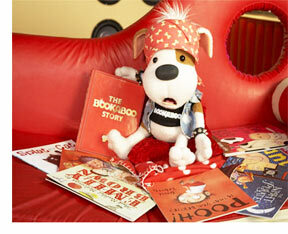 Find out more about Bookaboo, watch exclusive episodes featuring Johnny Vegas, Amanda Holden and Tamsin Egerton and download free teaching resources.